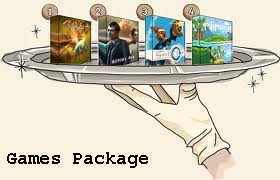 A Mash Bundle of 5 video games has been announced by Indie Royal as a special package. The games included are Delve Deeper, Strong Bad’s Cool Game for Attractive People, Krunch and Guns of Icarus Online. The price set is a reasonable £2 and gamers can pay £4 in total instead will receive Zef’s Parallel Processing album and Danimal Cannon. This package seems like a real good deal and is worth investing if you are interested in any of the titles mentioned.